Here is what the decision means: People have First Amendment rights, and even if the corporations themselves are not entitled to Free Exercise exemptions, the people behind the corporate veil, the business owners themselves, certainly are. We think it’s a bitter pill to swallow for women, and that the decision is saying that bosses know best and their religious beliefs can trump very basic health-care coverage. It’s especially harmful to women, but beyond this, down the line, there will be other cases, other challenges, that could have an even broader effect. A generation ago, a person’s religious observance was a public matter, a defining characteristic of one’s identity, while a person’s sexual activity was something private. Today, this situation is reversed. A person’s sexual behavior is now considered a defining characteristic of identity, a public matter to be affirmed (even subsidized) by others, while religious observance is private and personal, relegated to places of worship and not able to infringe upon or impact the public square. The culture clash today is less about the role of religion in business or politics, and more about which vision of humanity best leads to flourishing and should therefore be enshrined in or favored by law. This is exactly right. Different people value different things. For some, their faith is their defining characteristic. Thus, they have a strong desire to practice their faith in every area and aspect of their lives, including their business dealings. For others, some other thing – like their sexuality – is their defining characteristic. And anything perceived as an affront to their sexual identity is worthy of unrestrained caustic choler. As a Christian, I really have no choice when it comes to how I will define myself: my life must be defined by Christ. In the words of the apostle Paul, “It is no longer I who live, but Christ who lives in me” (Galatians 2:20). So what does this mean for my interactions with those who define themselves by other things? A few things come to mind. First, I must love those with differing worldviews. As Ed Stetzer so pointedly says in his article on the Hobby Lobby ruling, “You can’t hate a people and reach a people at the same time.” People who live outside a Christian worldview are not to be destroyed or oppressed in a political or judicial power grab, but loved through a winsome witness. Second, I must realize that my worldview is no longer a privileged majority worldview in our society. Indeed, many people are not at all concerned that a Christian may be legislatively or legally forced to do something that goes against his conscience. Again, Ed Stetzer writes, “Most Americans are not as passionate about the religious liberty issue (when connected to contraception, even abortifacient contraception) as most evangelicals and conservative Catholics.” Trevin Wax reveals that “a record number of Americans (1 in 3) said the first amendment [which grants religious liberty] goes too far in the freedom it promises.” This is just a reality. Third, I must make the case – through both a rigorous intellectual defense and a gentle, quiet lifestyle – why my worldview should be seriously considered and why it does indeed lead to true human flourishing. It is important to note that this case cannot be made quickly. Indeed, it cannot even be made by just my life or in just my lifetime. No, this is a case the whole Church must make. And blessedly, the Church has been making it for millennia. For instance, the Church made its case here. And here. And here. And here. This is why I doubt any Supreme Court ruling – be it in favor of or against religious liberty – will kill the Church’s case. For this is the case and cause of Christ. Ashby Jones, “Legal Experts, Advocates React to Supreme Court’s Hobby Lobby Ruling,” The Wall Street Journal (6.30.2014). Trevin Wax, The Supreme Court Agrees With Hobby Lobby, But Your Neighbor Probably Doesn’t,” The Gospel Coalition (6.30.2014). 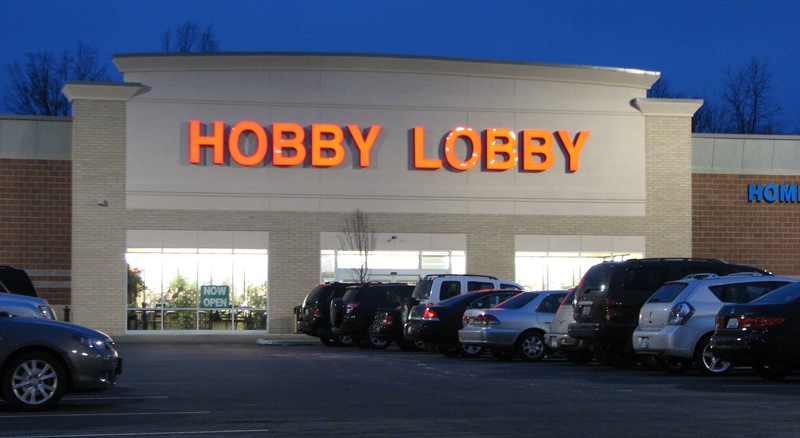 Ed Stetzer, “Hobby Lobby Wins: Where Do We Go from Here?” The Exchange (6.30.2014). Entry filed under: Current Trends. Tags: Abortion, Charity, Christianity, Contraception, Ed Stetzer, Evangelism, First Amendment, Gospel Coalition, Hobby Lobby, Legal, Religious Freedom, SCOTUS, Sexual Revolution, Spirituality, Supreme Court, Trevin Wax, Witness, Women's Rights.